Ipoh is Among Top 10 Places to Visit in Asia! Last year Lonely Planet, the world’s largest publisher of travel guide books, discovered my hometown. And its reviewer was charmed. Ipoh, the town in which my debut novel – The Woman who Breathed Two Worlds – takes place, was duly placed 6th in the publisher’s Asian destinations to visit in 2017! 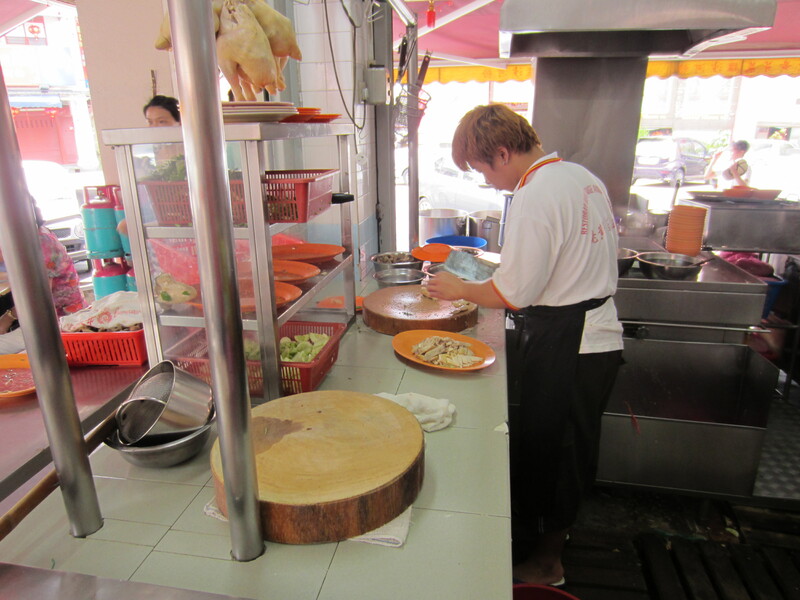 There was special mention for Ipoh’s food, which has long been a favourite with Malaysia’s many foodies. One of Ipoh‘s specialities is bean sprouts and yes, I do mean that quirky-looking vegetable with a whitish stem and yellow head! 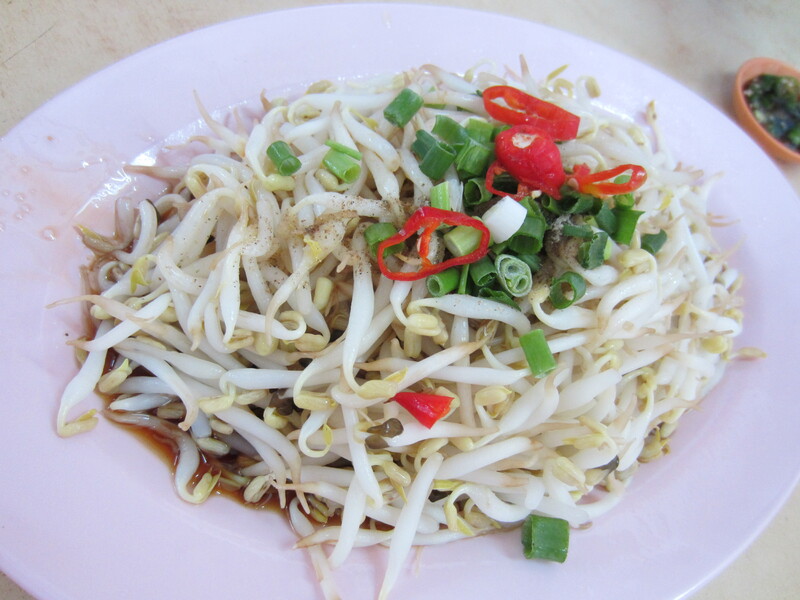 Ipoh’s bean sprouts are special: fatter and crispier and therefore tastier. I’m told that this is because they are fed the limestone-infused water from the hills which my heroine, Chye Hoon, loved. 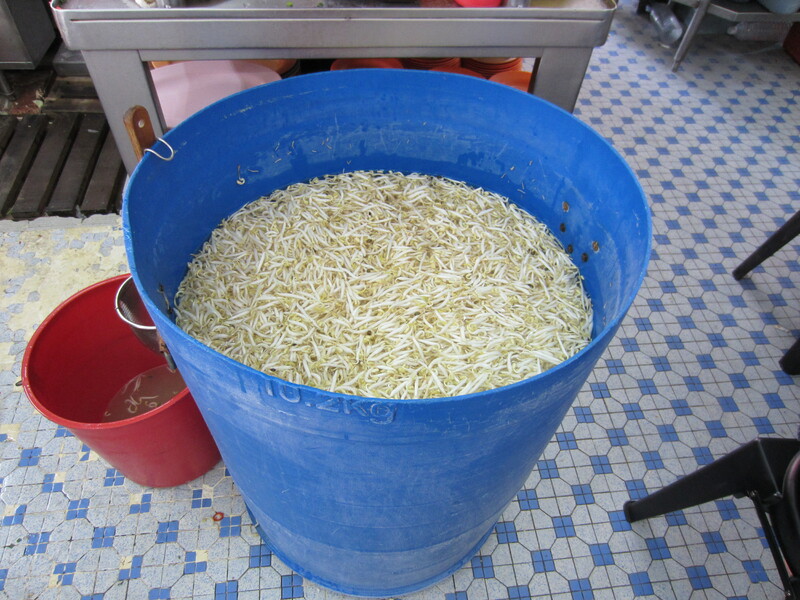 Whatever the reason, Ipoh’s bean sprouts are so good that I once wrote a blog-post about them. Naturally, I was thrilled that Lonely Planet mentioned bean sprouts and good old Lou Wong, one of my favourite coffee shops. Lou Wong is an institution, a bit like the town’s Padang (the large field around which our British occupiers built their administrative offices. I had to explain this to the copyeditor when he tried to reduce ‘Padang’ to a small ‘p’). 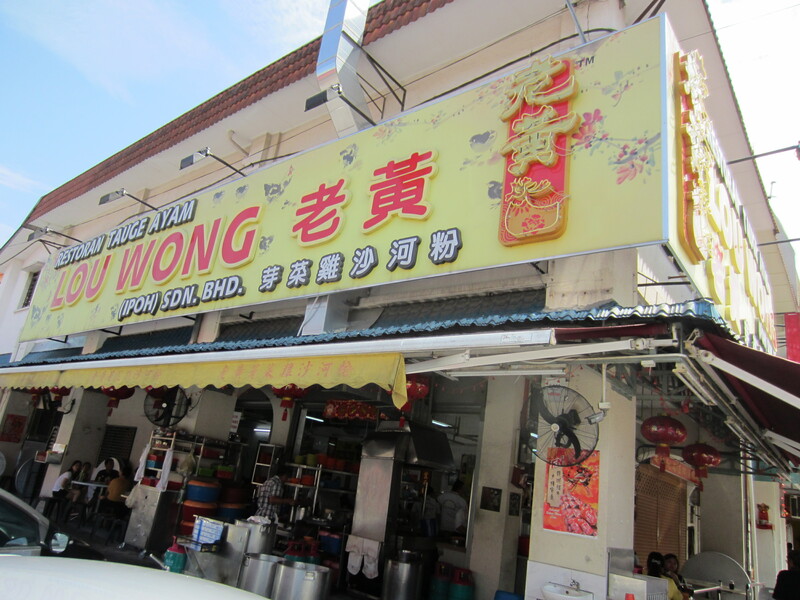 Like some of Malaysia’s best eating places, Lou Wong doesn’t look like much from the outside. But they serve delicious food! In case you doubted it, they have a sign telling you what they specialise in. It’s not as if you need it, since the only things visible are barrels of bean sprouts (I kid you not) and arrays of chickens strung up, ready for the cleaver. The chicken is steamed, the bean sprouts blanched, both are then doused in plenty of soya sauce and sesame oil, garnished with finely chopped spring onions and eaten with aromatic steamed rice or in a noodle soup. Simple and stunningly good! Lou Wong remains an old-style coffee shop, cooled only by ceiling fans and with relatively clean, tiled floors of light blue octagons interspersed with darker blue squares. The waiters move around in casual T shirts, sometimes fat-splattered, adding up your bill in their heads. I invariably eat more than I should. Once, the waiter who was totting up the bill stared in astonishment. ‘Wahh!’ he cried out, not believing his luck. ‘Three persons, eat so much!’ The same waiter is still there, and he smiles each time he sees me. Ipoh has more than food, of course. It was built on tin and is one of Malaysia’s most historical cities. Therein lies the rub: the town, created to serve British colonial interests, was built largely through Chinese effort – a fact which the Malaysian government does not like acknowledging. For years the most historical part of Ipoh, called Old Town, was left dormant. Beautiful shophouses became dilapidated and decayed. Ipoh’s recent renaissance – through private initiative, not the government’s largesse – is one of the reasons why the town has been noticed by Lonely Planet. This is heartening to see. I would love for Ipoh, especially its old historical quarter, to thrive again. The limestone hills are still there, of course, fluffy as ever, as are many of the places I wrote about in The Woman who Breathed Two Worlds: the cave temples; Concubine Street, the narrow alley where the towkays, the business bosses, kept their mistresses(which has a real name of Jalan Panglima, or Panglima Road); the sturdy missionary schools; the Padang (large field); the railway station and other colonial buildings. In my last post, I said that I would be putting up images of old Ipoh on my website www.siakchinyoke.com. I’ve now done this: if you’d like to have an idea of what some of the above places looked like in Chye Hoon’s day, go to the Chye Hoon’s World page of my site and click on the top left window. The images there are from vintage postcards given to me by my highly imaginative partner. One of my dreams with the Malayan Series – as my publisher Amazon Crossing has called this historical fiction series – is to help put Malaysia and my hometown of Ipoh on the map. Many readers have said that they knew nothing about Malaysia before, and now they feel they’ve been there. One even wrote that “if I ever make it to Malaysia, this book will be a huge reason why” (referring to The Woman who Breathed Two Worlds). My message is simple: visit Malaysia! And make sure you go to Ipoh. If you’d like, you can ask me what to see! Who knows, there may eventually be tours around the places which Chye Hoon haunted. Ipoh is a classic symbol of the untiring success stories of the Chinese Diaspora from East Asia ,whether in foods or other useful life enhancing professions ,the settled Chinese anywhere like the Chinese Diaspora in San Francisco California,they are a wonder kind to the world , just like the Britishers who say there will always be an England somewhere other than in Olde England, the Chinese Diaspora Hungary go settled where there are smoking chimneys and woks, and they sure wok and roll for a living ! Ipoh is indeed a classic symbol of overseas Chinese enterprise, though I’m not sure I agree that we are a wonder to the world. Nonetheless, it’s good to see Old Town starting to come alive again! Chinese Diaspora of East Asia as they settled globally are comparatively a Wonder Kind to the world as your Uncle Chin Kee Onn and Professor Wang Gung Wu Chairman of Asian Studies at National University of Singapore attested to in Gung Wu ‘s case in his learned research of the Chinese Diaspora of East Asia, China mainland in particular ! frankly and statistically no other Cultural Group has so traversed and dominated the globe by size and its firm cultural traditions !Hiyah Yau Sai Kai ! How can anyone not mention that a Bond girl hails from Ipoh: Michelle Yeoh. A beauty with the smarts. How come Michelle Yeoh 007 chick isn’t mention ? How about me 009 Gerald Heng now Sr of Ipoh & now of Metrowest Boston, MA & Washington DC USA and of London , England not mention ? My escape route is via the Fulbright Fellow/ Scholarship program of US State Department ! Hola La La ! While not wishing to censor anyone, I respectfully ask that you NOT refer to any woman as a ‘chick’ on my blog. As for Michelle Yeoh, she is of course an excellent actress, but this blog-post is about reasons to visit Ipoh. To know as the ancient wise Chinese say eaten more salt than rice ! I think Michelle Yeoh helped ‘put Ipoh on the map’ before your novel, Selina. I’m grateful for the head start Michelle Yeoh gave in helping ‘put Ipoh on the map’. Its all Hollywood mania so much so the Indians have their Bombay Bollywood ! Michelle Yeoh if she was in Bollywood , would Ipoh have such a media mapping operation ? Hollywood happens to be an English Language medium spoken and written by at least 55% of the world !